Apple recently launched the new iPad Air and iPad mini. Both the devices support Apple Pencil, albeit only the first generation one. This means that the user of the new devices would not be able to take advantage of the new features that are offered by the second generation Apple Pencil, such as inductive charging. It has now emerged that this was done to keep the costs of new iPads from ballooning. In Apple’s own words, the iPad Air is offered at a breakthrough price. Similarly, the iPad mini is also considered an affordable tablet. The new iPad Air starts at $499 while the iPad mini 5 starts at $399. According to John Gruber from Daring Fireball, only the first-generation Apple Pencil is compatible with the two new iPads because the inductive charging data port needed to connect the latest version of the Apple Pencil was deemed too expensive to be built into the iPad Air and iPad mini 5. Thus, for now, the second generation Apple Pencil remains exclusive to the 2018 iPad Pro models, which start from an expensive $799 price tag. 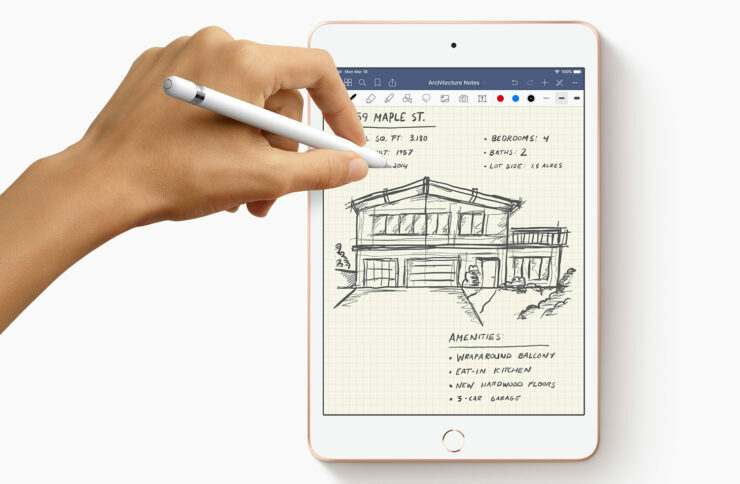 The second-generation Apple Pencil has its own advantages such as support for wireless charging and its capability to stick to the 2018 iPad Pro magnetically for seamless ‘on the go’ capability. Moreover, the newer Apple Pencil also comes with gesture support, something which the first generation accessory didn’t support. The original Apple Pencil comes with a Lightning plug and can be charged via the iPad’s Lightning port, but it needs to be inserted in the newer iPad models in an unusual manner. Even if the cost of the inductive data port was not an issue, adding support for the newer Apple Pencil would have warranted a design change for the new iPads to give them flat magnetic edges. Perhaps that’s why Apple dropped the idea of adding compatibility for the newer stylus. This is also the reason why the first-generation Apple Pencil costs $99 while the second generation model is more expensive, priced at $129.